Cable TV to Your Cellphone | OhGizmo! 3 Group, a wireless company in Europe, announced on Thursday that they will be launching a new service in Britain for Cable TV on mobile phones. 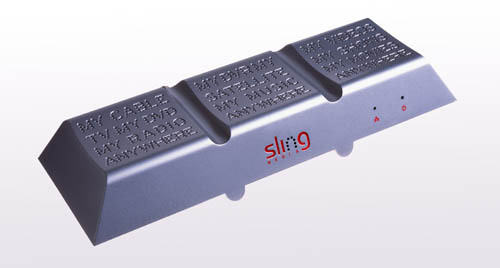 Using the Slingbox technology you will be able to watch, record, and view channels on your cell phone. The service simultaneously hooks up to your cable box, and broadcasts it through your internet so you can access it. From there you have access to your DVR to do as you like. Before, you could only use the Slingbox with desktops, laptops and some newer mobile PDA phones, but since phones are becoming more sophisticated and are being produced with faster processor speeds, streaming video is becoming more accessible. The usage will not be unlimited, but pricing was not immediately available. The first two handsets included with the software will be the Nokia N73 and the Sony Ericsson w950i. Now, you have no excuse to miss Desperate Housewives. i want to watch my soccer matches also. Wow! That's something worth noticing, not so long ago I wouldn't have even thought about this option and new I learn it's actually very real and possible. Does this come with an HD DVR? When they get those products to chile? the product used to have cable tv? serves the imitation of the iphone? As in Chilean pesos would be worth?